We’ve seen a carbon-monitoring LED dress, an air-purifying gown, T-shirts that register airborne pollutants, and even an armored “bubble” that keeps you coddled in a toxin-free environment. The latest weapon in the asthmatic’s arsenal? 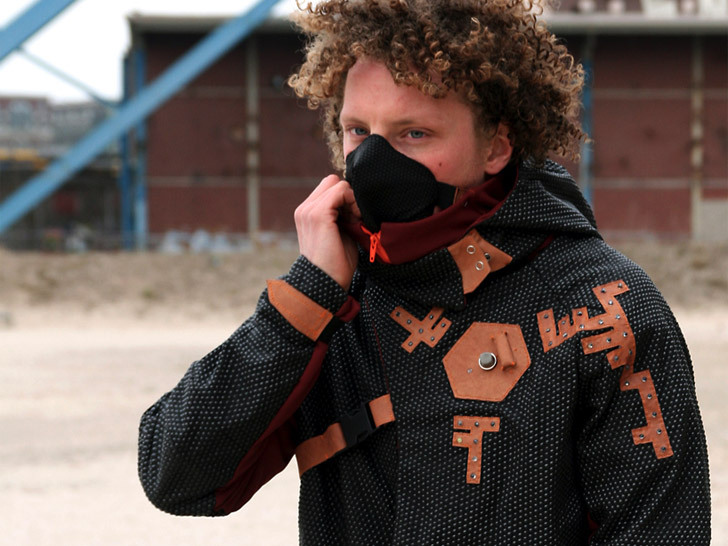 The “Aegis” parka, a high-tech jacket that features sensors for the most common urban poisons. Designed by Nieuwe Heren, a design agency based in the Netherlands, the parka lights up when it detects hazardous levels of ammonia, carbon dioxide, and benzene. (The brighter the LEDs, the worse the air quality.) If getting out of Dodge isn’t an option, a built-in respirator with an activated-carbon filter lets you breathe easier. The Aegis is named for a protective device originally associated with the Greek god Zeus. The garment itself uses Schoeller-Ceraspace, a textured fabric derived from ceramic particles, which are far more abrasion- and heat-resistant then leather. It’s lined with with Schoeller-PCM, a specialized textile that uses millions of Phase Change Materials microcapsules to balance out extreme temperatures in your personal ecosystem. 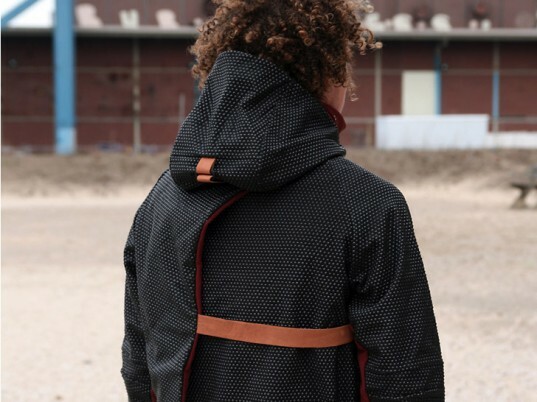 “With urban pollution growing out of hand and life spans diminishing due to airborne pollutants, we felt the urge to design a jacket that counters those effects,” according to Erik De Nijs and Tim Smit, the company’s founders. We've seen a carbon-monitoring LED dress, an air-purifying gown, T-shirts that register airborne pollutants, and even an armored "bubble" that keeps you coddled in a toxin-free environment. The latest weapon in the asthmatic's arsenal? The "Aegis" parka, a high-tech jacket that features sensors for the most common urban poisons. Designed by Nieuwe Heren, a design agency based in the Netherlands, the parka lights up when it detects hazardous levels of ammonia, carbon dioxide, and benzene. (The brighter the LEDs, the worse the air quality.) If getting out of Dodge isn't an option, a built-in respirator with an activated-carbon filter lets you breathe easier.